Arsenal are continuing their search for the ideal candidate to succeed Arsene Wenger at the Emirates Stadium, after the Frenchman waved goodbye to the club after 22 years of dedicated service. Plenty of names have been linked with a move to north London and, while it seems former captain Mikel Arteta has emerged as the leading candidate, The Daily Star state a move for Juventus boss Massimiliano Allegri is not off the table yet. 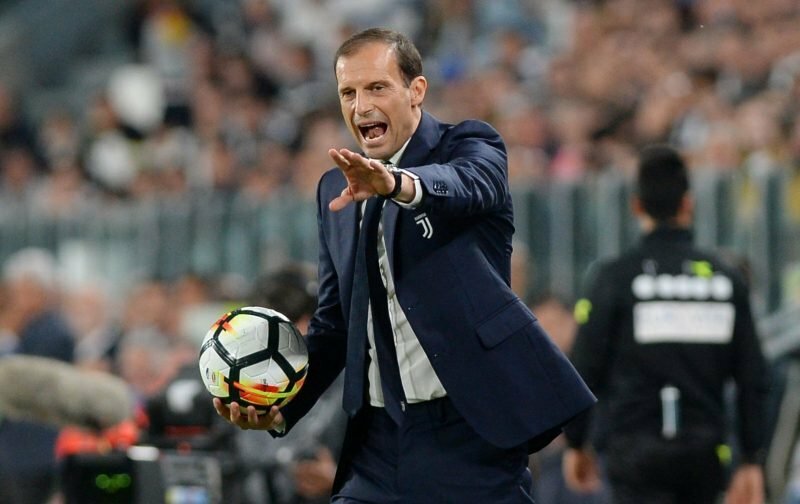 The Italian boss has just sealed his fourth consecutive Serie A title with the Turin giants and stated after Sunday’s game that he would remain at the club. However, the report claims he could still move to the Premier League. Allegri is said to have concerns regarding the hierarchy in place at Arsenal and is seeking transfer assurances if he is to move to the Emirates Stadium, as he’s concerned by the power that Ivan Gazidis, Sven Mislintat and Raul Sanllehi have at the club. It’s claimed Allegri is keen on a move to Arsenal but wants full control over transfer dealings, which the Gunners may bow to due to his proven track record.